In the morning, our guide will pick you up at your hotel. Your private itinerary starts from the remarkable Tiananmen Square, which has witnessed many important events in China's modern history. Then pass through the Golden Water Bridge and reach the Forbidden City. In the afternoon, you will get to Jingshan Park, which is a beautiful royal landscape garden. From top of the hill inside this park, you can get a full view of the Forbidden City. Next you will visit the royal Summer Palace to appreciate its amazing landscape and delicate architecture. In the morning, our guide will pick you up from your hotel to climb the Mutianyu Great Wall (round trip cable car is included). As one of the best-preserved parts of the Great Wall, Mutianyu section is less crowded but equally attractive. 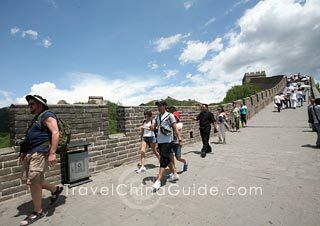 Your Beijing in 3 days itinerary will then be extended to the solemn Sacred Way. On the way back to the city, stop off at the Bird's Nest, namely the Olympic National Stadium. You could see it from a distance and take some photos. Visit the Temple of Heaven, which was initially built for the annual ceremonies by the emperors to pray to the god of Heaven for good harvest. 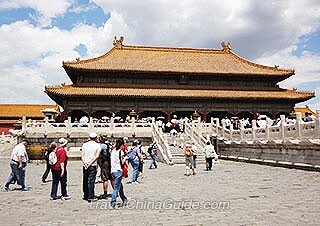 Then we will proceed to the Lama Temple, the largest and most perfectly preserved lamasery in Beijing. 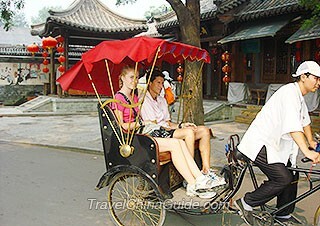 Have a Hutong tour with rickshaw in the afternoon. The last destination is the 798 Art Zone, an exhibition center of Chinese culture and art, and also the world- famous cultural and creative industries centralized area. 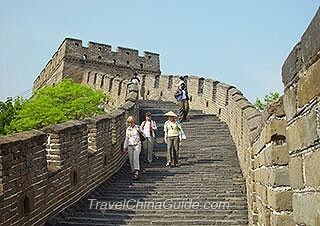 After finishing the Beijing itinerary 3 days, we will transfer you back to your hotel and bid farewell. Your private guide will meet you at your hotel. The morning excursion covers Tiananmen Square and the Forbidden City. First you will have a stroll on the world's largest square in the city center. Next you can pass through the Golden Water Bridge and enter the well-preserved imperial palace complex, the Forbidden City. In the afternoon, you will explore the Capital Museum with main items of cultural relics unearthed in Beijing. 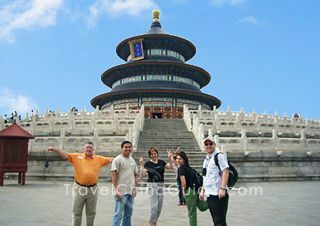 Then you will be escorted to visit the Temple of Heaven, which was initially built for emperors to worship the god of heaven. In the morning, our guide will pick you up at your hotel and transfer you to Badaling Great Wall, one of the most developed and representative sections of the wonderful military project. For visitors it has long been a must to ascend the wall and appreciate it winding up and down over the rolling mountain ridges. In the afternoon, the Beijing three day tours will be extended to the Sacred Way and the Ming Tomb with its precious stone underground palace. On the way back to downtown, stop off at the Bird's Nest (Olympic National Stadium), where you could admire the marvelous building at close quarters. You will be met at the hotel and taken to visit the Summer Palace, the largest and best-preserved royal palace. Now travelers visit this place to admire its amazing landscape and classical architecture. Continue to Beijing Zoo to visit Chinese national treasure, the giant pandas. You could appreciate the lovely pandas eating bamboos, playing or sleeping in real life. Following the morning activities, we will proceed to the Lama Temple which was used to be the national centre of Lama Administration in Qing Dynasty. Your Beijing 3 day tour itinerary draws to the end after you have a Hutong tour to get a feel of the authentic old Beijing. Tour went off without any problems, packed a lot into three days, all participants raved about the sights, the meals, and especially the guide (Chao? / John), he really made the tour fantastic. I will leave LONDON and will be arrived in PEK at 8.15am on 18 May 2019 then I will leave PEK on 20 May 2019 at 19.35pm to Bangkok is it OK for me to apply for 72 hours free VISA. Yes, you can use the 144h twov in Beijing. What subway should I take to get from terminal 3 Beijing Airport to Jianguo Hot Spring Hotel? Take airport express from airport to Dongozhimen Station. Then transfer to metro line 2 to Jianguomen Station, Exit C. Afterwards, walk south around 550 meters to find the hotel. I would like to spend 3 days in Beijing and then take a train to Xi’an to see the Terracota warriors for 1-2 days and back to Beijing to fly to Singapore on a USA passport. Thank you for your help. Can I use the 144 hour free transit. I am afraid that it doesn't work if you stopover in Beijing and Xi'an. I kindly suggest you apply for China Visa in advance in terms of your itinerary. San Francisco to Beijing; Beijing to Shanghai; Shanghai to Seoul; Seoul to Beijing; and Beijing to San Francisco. I am a holder of Philippine passport living in the USA. Can I qualify for the 144 hour free transit? As I know, Philippine passport holders are not qualified for the 144-hour free transit, so you have to apply for a Chinese visa in advance. Yes, you are eligible to apply for the 72-hour visa free transit when you are in Beijing.